The teeniest, tiniest tentacles of them all! Yup, Pygmy Squid are the smallest cephalopods in the world. There are 7 or 8 species, each one reaching somewhere between 1 and 3.5 cm (0.4 to 1.4 in) long. 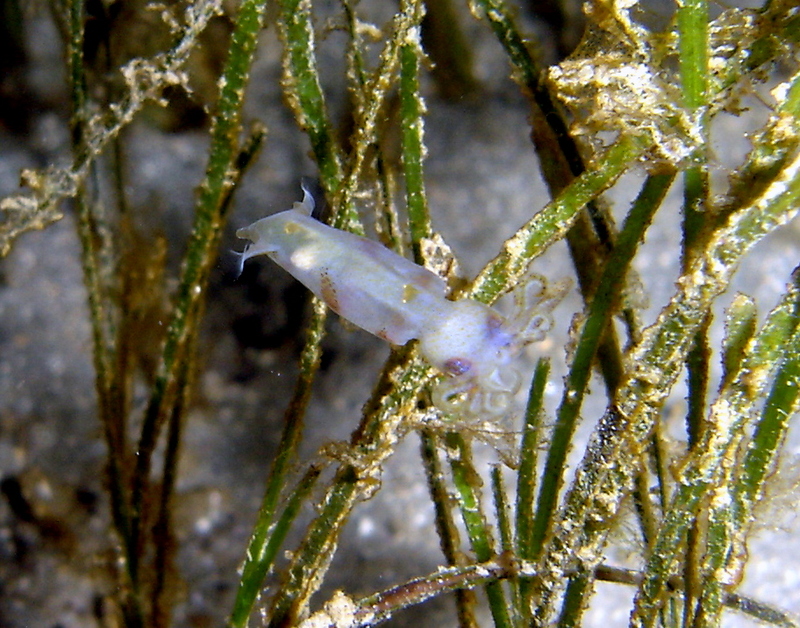 In some species the female is sexually mature when she's a mere 8 mm long, not including tentacles. Males are even smaller! All Pygmy Squid belong to a single genus called Idiosepius, which is the only one in the Idiosepiidae family. 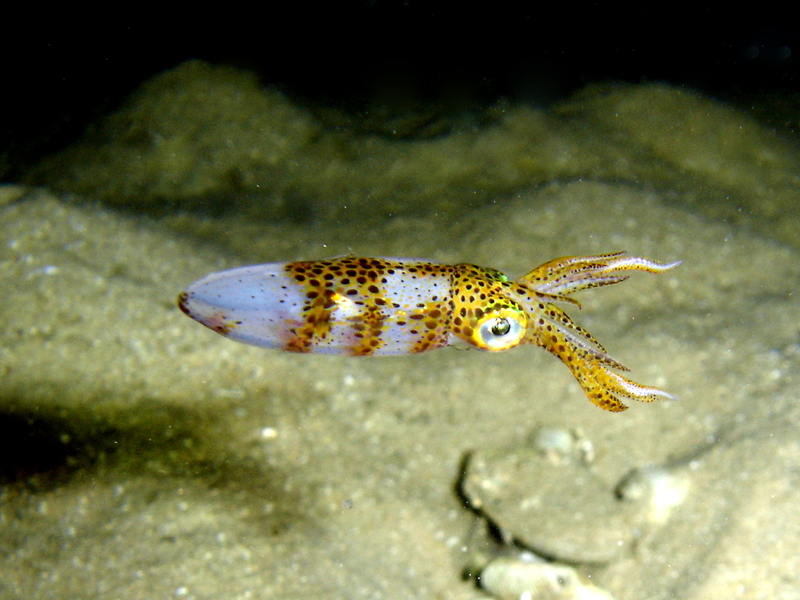 They're closely related to those other delightful tiddlers, the Bobtail Squid. This in turn means these Pygmies aren't really squid at all. Like Bobtails, they're actually closer to cuttlefish. Their lives sound ... blissful! 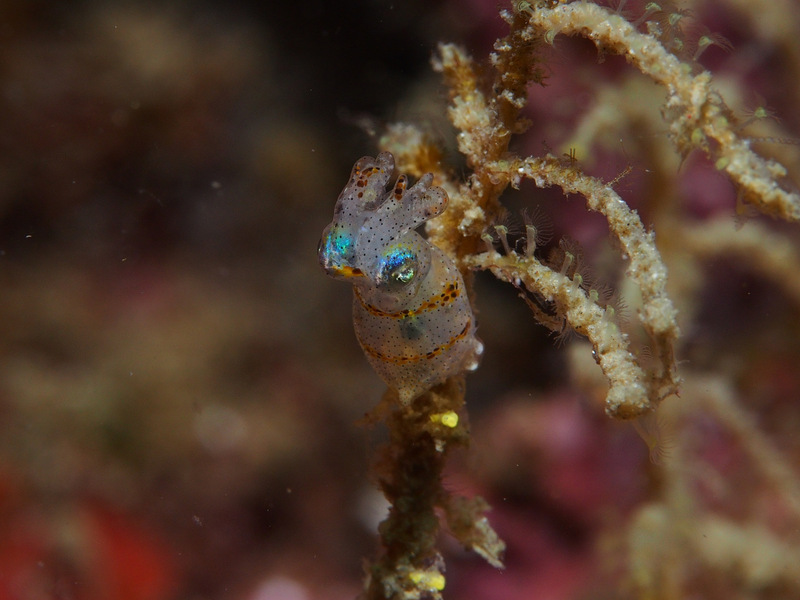 Pygmies live in warm, sun-dappled, Indo-Pacific waters. 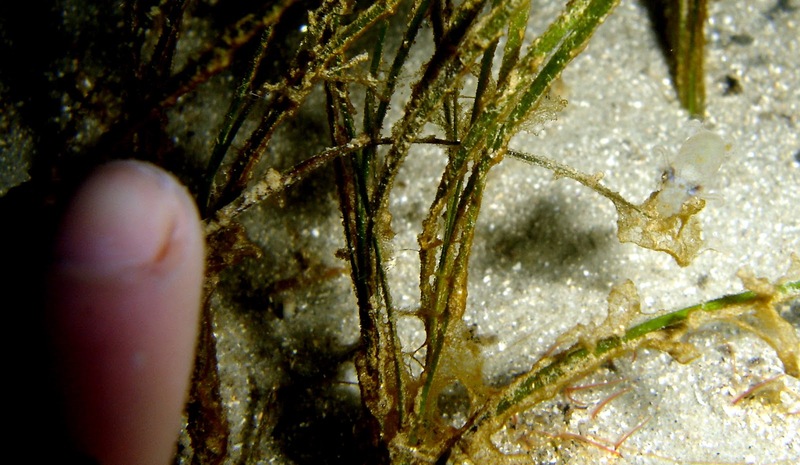 They keep to the shallows, often among the verdant fronds of seaweed and seagrass. 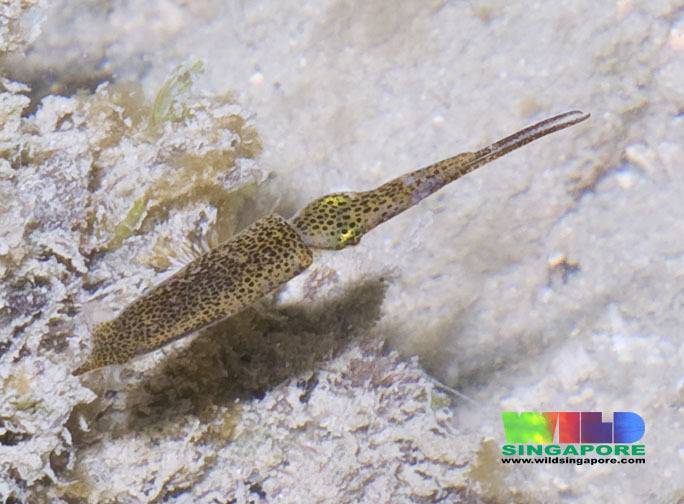 Like a lot of other cephalopods, Pygmy Squid can change colour in the blink of an eye. One good thing about being so small is in the eating. 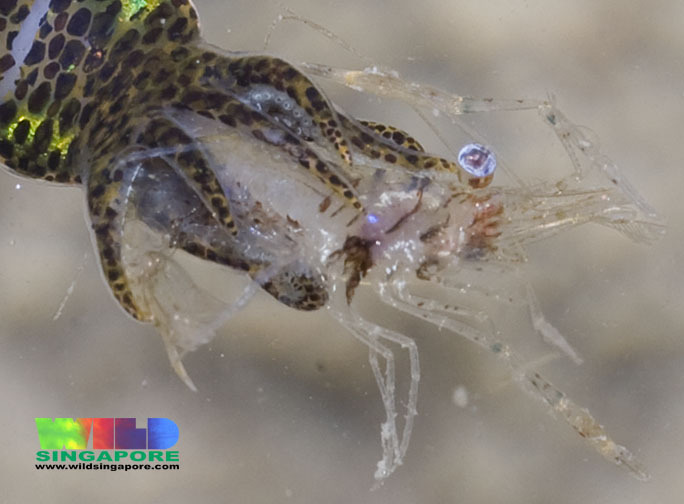 Pygmy Squid don't have to feed on tiny prey that befits their tiny tentacles; they're well capable of tackling shrimp that are just as big as they are! They also have a unique skill that distinguishes them from all the other cephalopods. On the back of their mantle is an adhesive organ that allows them to stick onto any one of the leaves that surround them. Now they can just relax and watch the world go by like a tentacle-monster in a cafe. They might even lunge at a passing shrimp for dinner, like a man-eating tentacle-monster in a cafe. It also comes in handy when the females need to take some time out to stick a clutch of eggs on some foliage. My dreampossible aquarium has many of these octopreciouses! These things are adorable! I'd just want to give them a tiny submarine to attack, like a miniature 20,000 leagues under the sea. They look just like those little squiggly rubber bait lures. Or... maybe those little squiggly rubber bait lures look just like them? @Jacob Littlejohn: Hahaha! I'd watch it! @Crunchy: Maybe Pygmy Squid make squiggly rubber statues of themselves and people just harvest them?